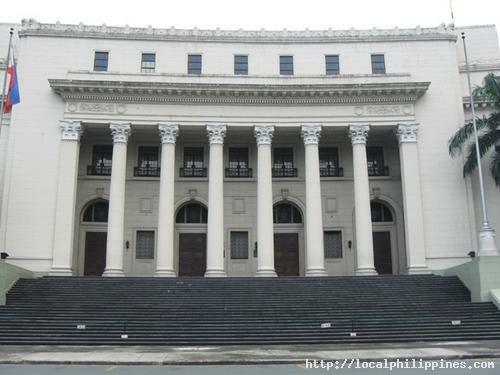 The National Musem is the official repository and guardian of the Philippine cultural, historical and natural heritage. Created on October 4, 1901 under its old name, the Insular Museum of Ethnology, National History and Commerce. The museum boasts of five (5) divisions, namely: Art, Botany, Zoology, Geology and Antropology. From Baclaran, one can a PUJ bound for Lawton or the Manila City Hall and get off at the corner of P. Burgos Street along Taft Avenue. The Executive House building is a 5-minute walk from Taft Avenue. Proceed to the second floor. From T.M. Kalaw St., proceed to the front entrance of the Department of Tourism Building facing the skating rink. From this vantage point, the National Museum of the Philippines is a 5-minute walk.